I love springtime! I love the bright pastels, the growing flowers, trees flowering, grass growing…. I’m going to save you all from reading the other 200 reasons I love spring though and just get to the good stuff! My mood literally does a complete 360 when spring decides to come into my life. I really shouldn’t live in Indiana, where we have 4 distinct seasons. Or, in the case of this year, winter, winter, a mild summer and more winter. I should be the girl who lives in Florida (South Florida preferably) or somewhere in Cali like LA, San Fran or San Diego, when it’s a national disaster if it rains. And just as a side note–Brock, if you are reading this, you should know that if you bring me tulips, even the ones that are on the 5.99 special at Kroger, I will instantly love you even more. Anyways, I wanted to write a post about all things spring; i.e. 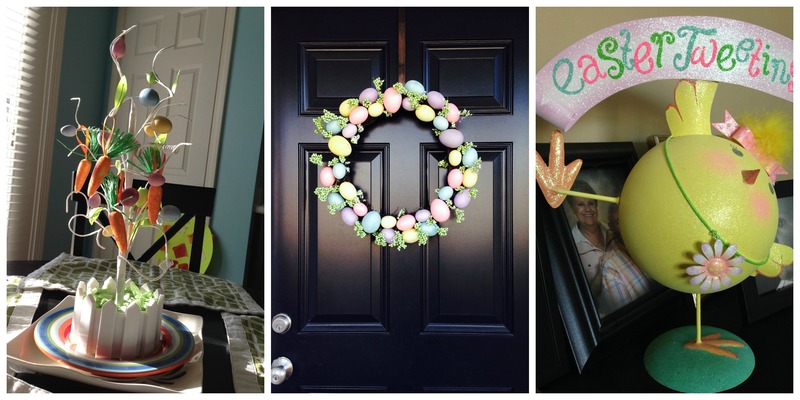 fun Easter décor (one of my most favorite holidays…hands down), a few fashion finds and even recipes. I love all of these things and how they bring a little spring into the Keevers life. Let’s start with the fun of St Patrick’s Day. Technically it falls 3 days BEFORE spring, but lets be honest, I took some cute pictures of our boys and I just wanted an outlet to show them off. St. Patrick’s Day brings all kinds of fun “mystery” and “wonder” to our home because Brayden gets to learn about fun little magical leprechaun tales and stories about a pot of gold at the end of each rainbow. It’s fun for me to listen to because I remember hearing all of these stories in elementary school and was always so excited to think about the little green dudes and the pot of gold associated with this holiday. I also wanted to get a little creative this year to keep the fun going for Brayden, so I looked up simple food ideas on Pinterest and tried them out. We made mini English muffin pizzas with “shamrocks” (sliced green bell peppers). I went to Kroger in search of the perfect green bell pepper for this. I thought I had one, but when I actually sliced it to put on the pizza’s it looked a little weak-sauce, but oh well. It’s the thought that counts. Right after St. Patrick’s Day, I decided it was time to decorate for Easter. I mean, obviously, right? Check out some of these ultra cute decorations I have found! Let cook on high for 4-5 hours until chicken falls apart. 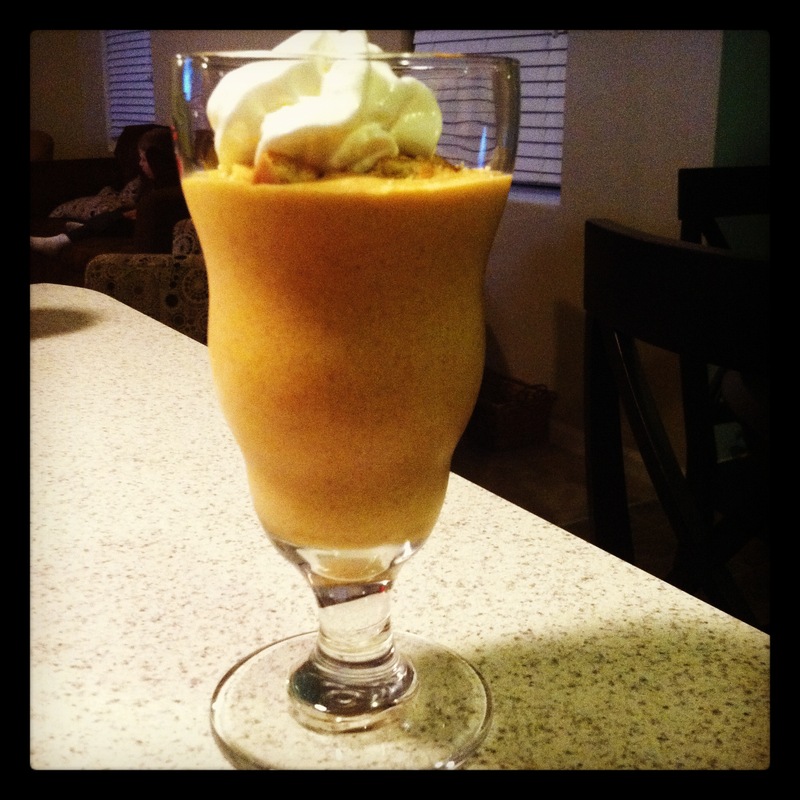 PB2 Banana Smoothie: This little concoction comes from a good friend of mine and I sure am glad she passed the recipe on! 1/2 FROZEN banana–make sure it’s frozen! 1 FROZEN container Banana Crème Pie Carbmaster Yogurt from Kroger (or similar) You will have to pop the frozen yogurt container in the micro for 20 seconds AFTER you take the foil top off to loosen it up so it falls out of the container. Blend…add fat free ready whip if you would like. SO GOOD. 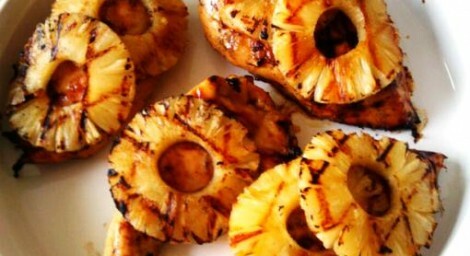 Put the pineapple on top of the grilled chicken with a dab of cherry juice. 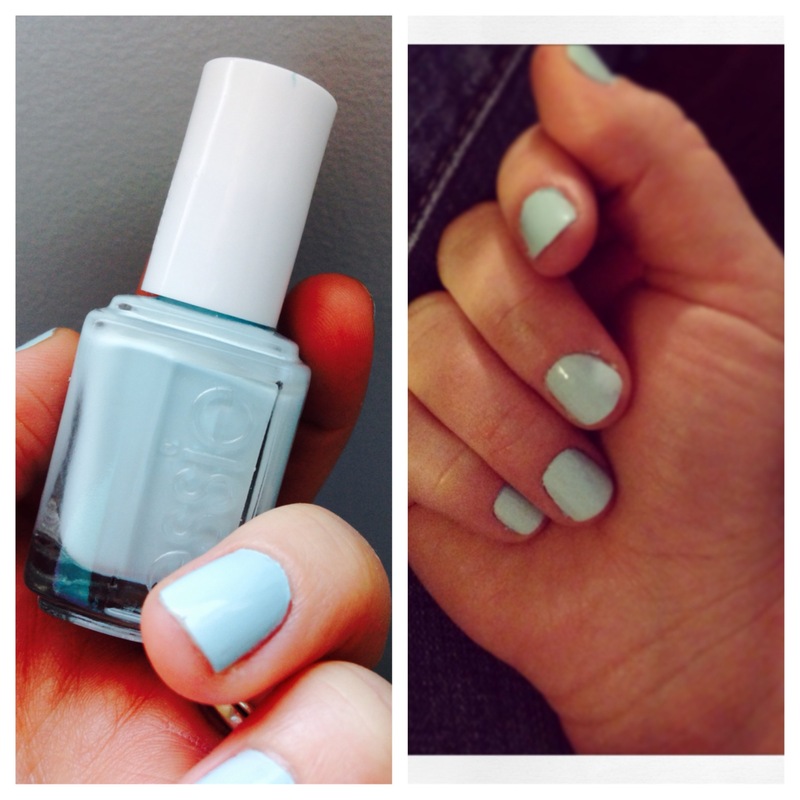 Essie Nail Polish in Candy Apple Mint. I’m obsessed. 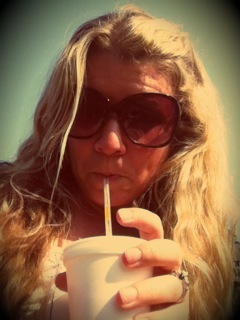 Uber obsessed. Note: I searched for days online, in stores and in magazines for the perfect white bag for spring. Since it’s seasonal, I knew I wasn’t going to get an “investment” bag, so I wanted to spend $100 or less on this. Kohl’s actually came through and had this! It was $69.00, on sale for $50.00 and with a couple good weekend early bird sales and Kohl’s cash, it instantly was $20.00! I was completely happy all around with that! Peach lip gloss, new self tanner and some super cute shorts and wedges. +”All of You”, John Legend. I know it’s overplayed, but I just can’t help it. +Aspoonfulofstyle.com, I can’t stop staring at the spring handbags, especially the Rebecca Minkoff. +Mythirtyone.com/mkeevers –Super good flash sale going on until the 22nd, where you can purchase current products at 50% off! +Wahlburgers. Donnie, Mark (and the other brother) + burger joints in Boston + their mom = hilarious! Brock was watching this one night and I sat down to give it a shot and seriously was instantly hooked. +The Voice. I truly love the dynamic between Adam Levine and Blake Shelton. Who would you pick as a coach? Team Adam here! +Dancing With the Stars. This season my twitter BFF (another story for another time) Candace Cameron Bure is a competitor. You can read about how she inspires me here. +Anger Management. So I’m not the biggest Charlie Sheen fan, but this show is hilarious. To be honest, Brian Austin Green (you may remember him as David Silver on 90210) steals every scene he’s in. Dude is funny–fo’ sho’. +Dallas. I mean…eye candy galore. According to my husband, there’s just as much eye candy for dudes too. I never was allowed to watch the original when it aired back in the day, so basically I never know what’s going on in this revamped version, but did I mention the eye candy–usually in the form of Jesse Metcalf and Josh Henderson. +Cougar Town. Are you watching this yet? I promise you will love everything about it! Ya, so I’m just going to leave this blank. Is anyone else obsessed with sweets right now, or is it just me? I’m hoping everyone I know is having the same problem, so that when I gain 20 pounds, it won’t matter because everyone else around me will have gained as well. I keep a stash of Smart Ones cookie dough sundae’s in the freezer right now, it’s getting to be a bad habit. I won’t even mention my love for the jalapeno kettle chips in the pantry. I’m gonna go ahead and blame the crazy Indiana weather. It takes the blame for most of my problems. Guess what all? It’s Friday! Hooray!!! This is my first try at really capturing a true day in the life of ME and I took the easy way out this time around, doing this on a weekend day and not a weekday. My Monday through Friday’s are so crazy –so trust me when I say, a Saturday surely would be a little more enjoyable to read about (and write about). 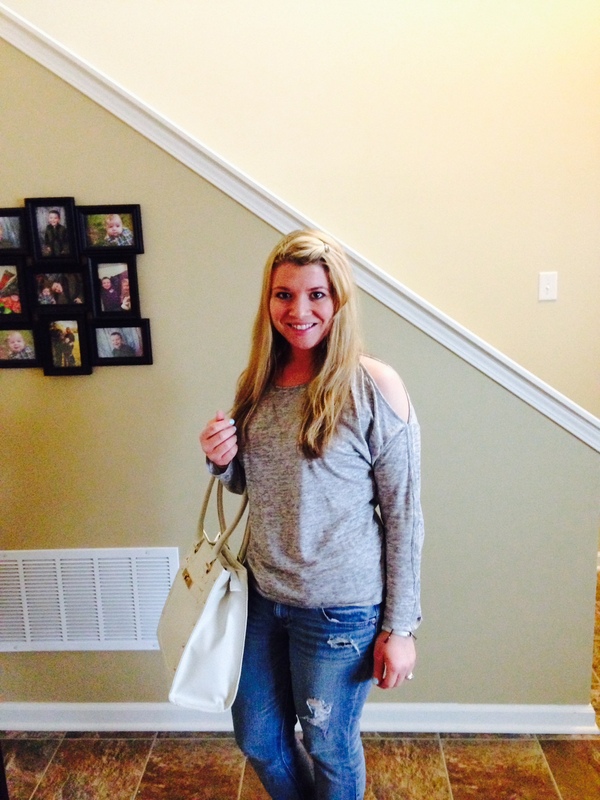 7:45 am–RISE AND SHINE — I was up and in the kitchen by 8 preparing for a coffee date. What’s this coffee date? Well, my great friend (and neighbor) and I have a monthly coffee date! 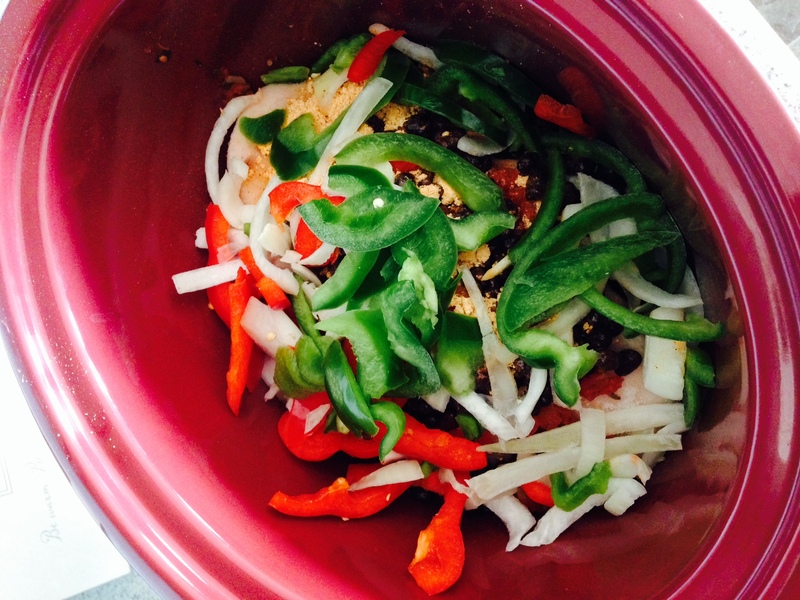 We take turns and make different recipes out of our various healthy cookbooks and chat for a few hours. March was my month, so I decided to make this AMAZING recipe from Hungry-Girl.com. 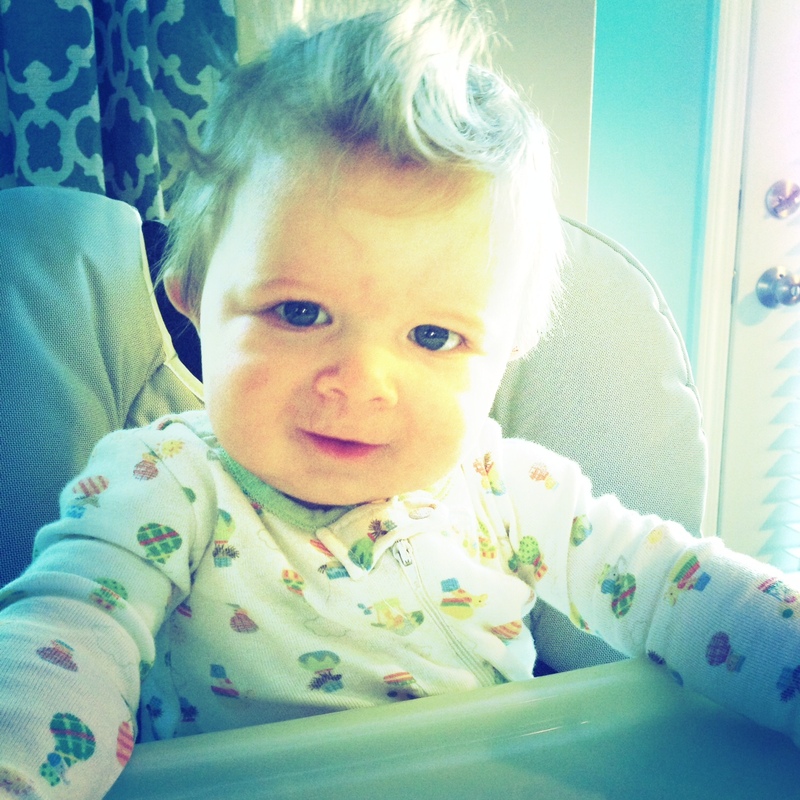 My cute breakfast helper–I’ll keep him, crazy hair and all. 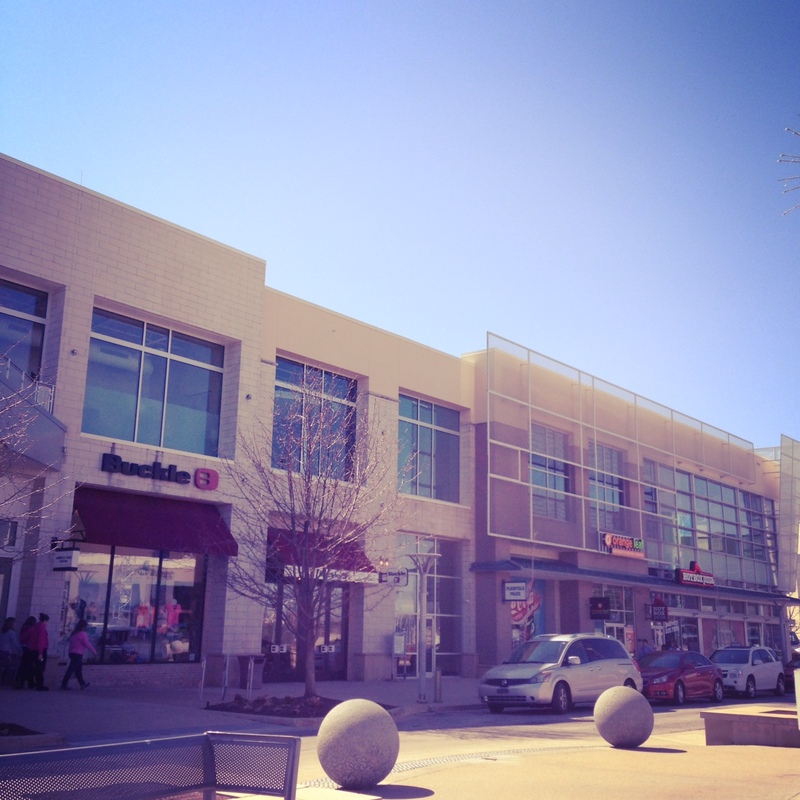 9:15 am–Coffee date! Oh, and in case you are in the mood to read an extra sweet blog, check out my friend’s blog Here. 10:45 am–Back home, but now I’ve decided to head out to the grocery store, but right before I leave my mom calls and says she’s going to the mall and wants to know if I can meet her there. Coincidentally, I just learned at breakfast from my friend while drinking my 5th cup of coffee, that Old Navy had super cute kids clothes at the moment I needed to check out. So sure mom, I’ll be right there! 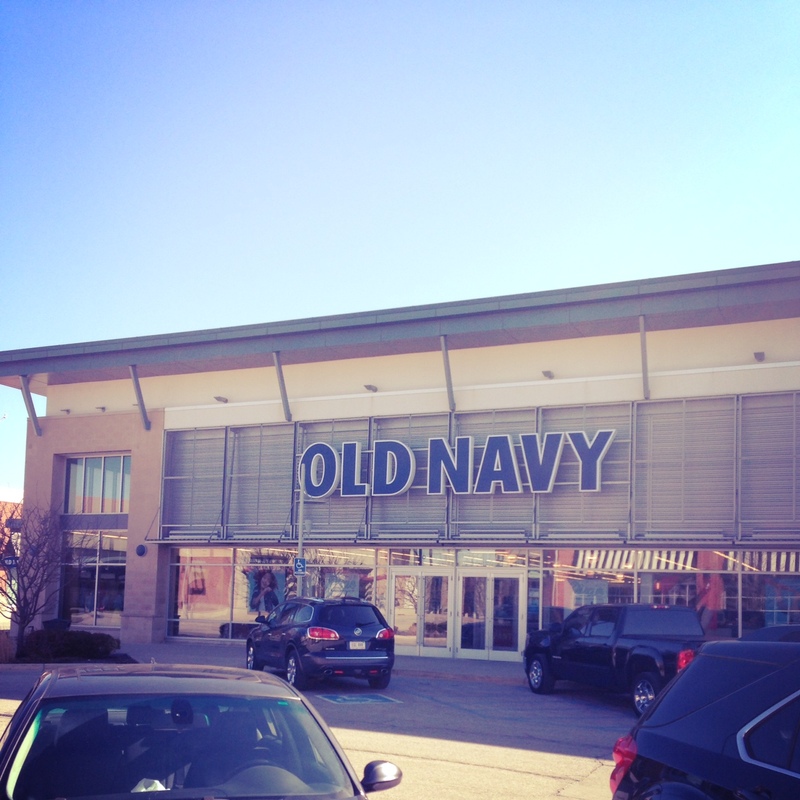 12:00 pm–An hour in Old Navy, bag full of ultra cute spring clothes for both boys and feeling pretty darn happy with my selections! The hubs calls and says he needs Velveeta, Diet Mt Dew and tortilla chips STAT to watch the Michigan Ohio State game, so I run to grab that for him really fast and because I’m an awesome wife, I drove it home, dropped it off and went BACK to the mall to resume my shopping. 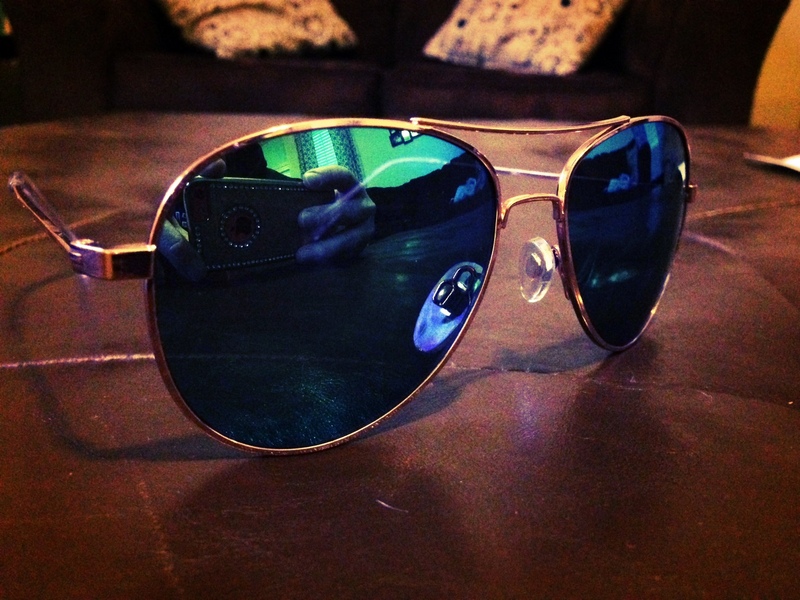 1:00 pm–I stumbled into American Eagle to pick up these super cute sunnies for spring! 2:00–Finally made it to the grocery store. I hate going on Saturday afternoons because of how crowded it is. However, it had to be done. Brock and I were tired of having only some questionable sandwich thins and some mustard to make a sandwich with and didn’t want to fight over the last piece of turkey. You know how it goes. Or, maybe you aren’t like me and don’t wait till the last possible minute to go to the store. 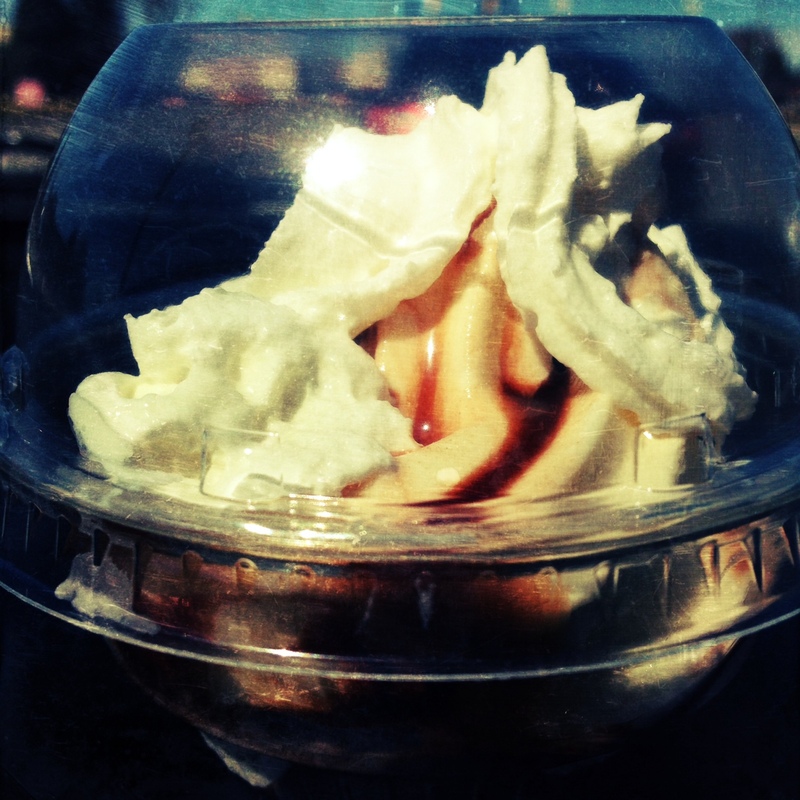 3:00 pm–I may or may not have made a detour for a 170 calorie mini sundae from Chick Fil A. Shhhh. 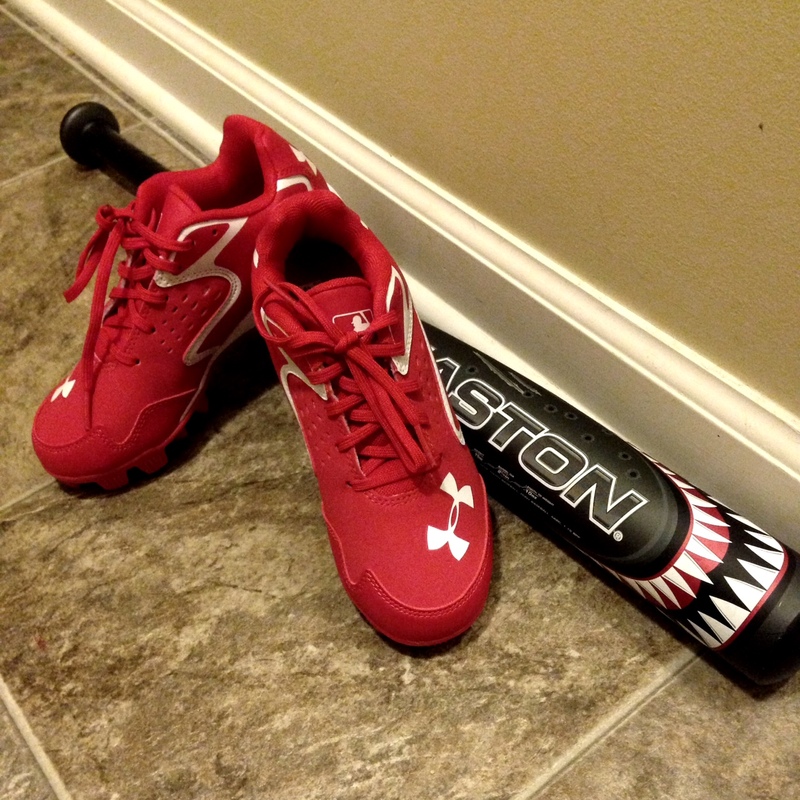 3:30 pm– Back home just in time for Brock and Brayden to go shopping for his t-ball gear. Where we live, you have to be 5 to play t-ball, so this will be Brayden’s first year. Practice starts this week and I’m so flippin’ excited about being a “baseball mom”. I already know how this is going to play out. Our family will be “those” people with their lawn chairs and blankets and coolers on the sidelines. Wait, is the word sidelines associated with baseball? Apparently not according to the hubs. I was just told “Mary, don’t write that, you will sound like you don’t know what you’re talking about.” (Duh) “You would actually say that we’re sitting on the first baseline, or third baseline, or even behind home plate.” I really need to work on my sports lingo. 5:00-8:00 pm– I’m not kidding when I say this entire time was spent doing laundry. I can’t explain it. It breeds. It multiplies overnight without warning. Anyways, even after 3 hours it’s still not caught up. 8:00-9:00 pm–Brock and I got the boys fed and in bed (on week nights they are both in bed by 8:30 but weekends are a little more relaxed). In case you were curious, this consists of baths for both boys, diaper change and pj’s for Mason, pj’s for Brayden, a jar of solid baby food and a bottle for Mason, dinner for Brayden (he wanted a hot dog and oranges) and lots of cuddles. 9:00 pm– I finally started on dinner. Usually we eat out on weekends, but we had been gone so much during the day and all I wanted to do was watch a movie. 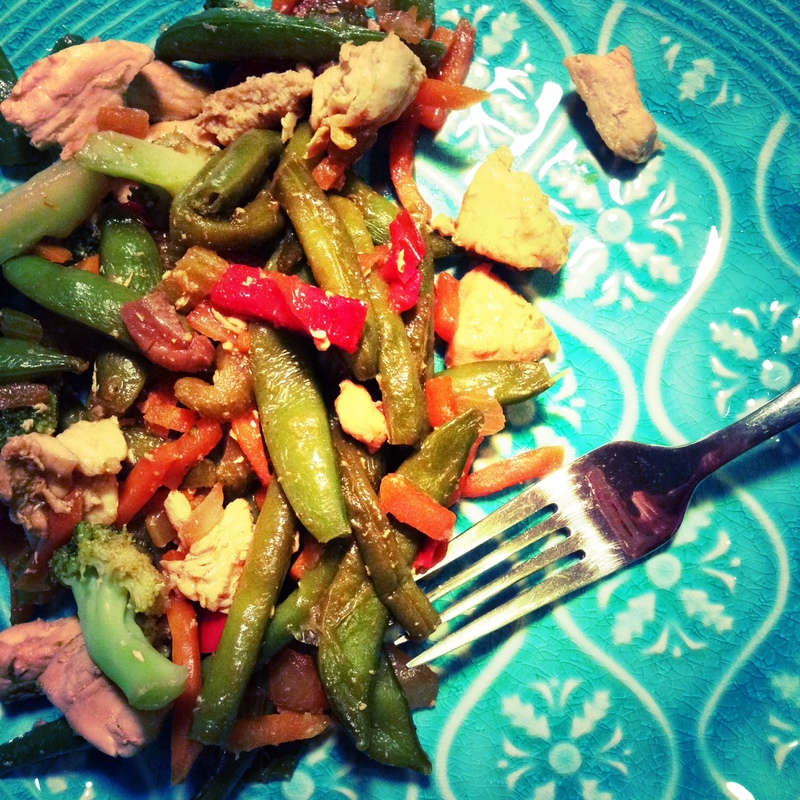 So I turned to this super easy formulazone recipe for chicken stir-fry. 10:30 pm– We finally decided what movie to watch. Gravity was so good! Intense! So, what’s the progress lady?! 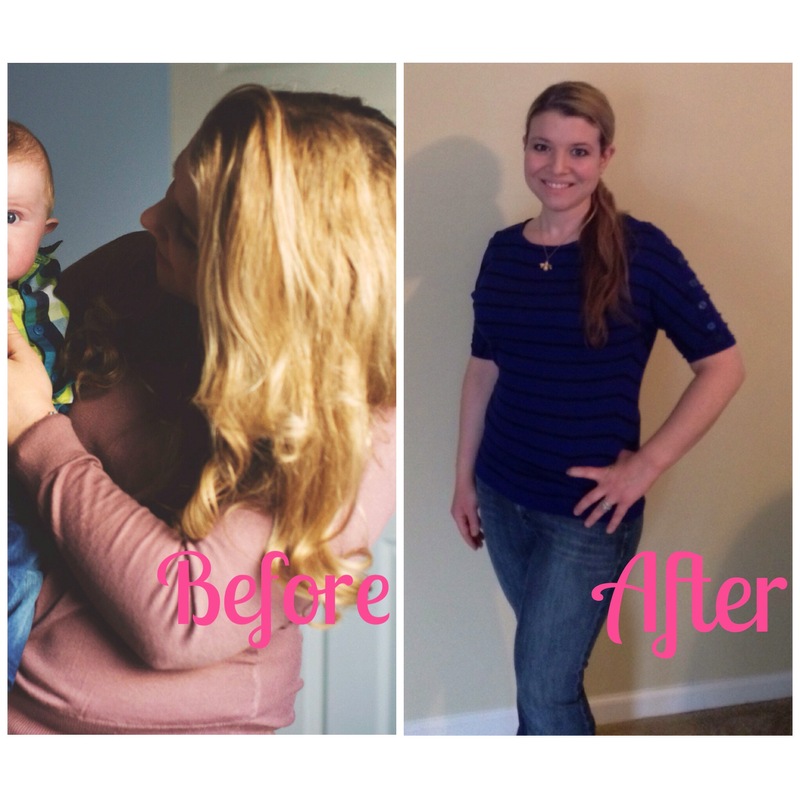 8 pounds (almost 9) GONE! As much as I want to make this a big segment of this blog right now, I’m going to refrain. You’re welcome. I literally become giddy when it comes to health, dieting and losing weight. If you have read this blog, or specifically checked out this post, you are aware. On January 28th, I started my “diet” with some help from formulazone.com. You can read about the basics of the formulazone plan, here. I strictly followed this plan for 3 weeks, losing weight pretty steadily. Then, our 5 year old came down with a little cold and last week we were hit with having to put my beloved dog to sleep. Needless to say, it sort of all caught up with me and made me lose focus on preparing meals ahead of time and planning out menus. However, I still logged my calories everyday on myfitnesspal.com and knew I could continue to lose as long as I stayed at the 1340 calorie/day limit given to me by formulazone. Right now, I’m continuing to lose mainly by counting calories. I still have formulazone breakfasts most every day and half of the week, I will fix lunches from the formulazone menu plan as well. I will admit, I never felt hungry and felt really good while exclusively following the formulazone plan. I can tell a difference now in how I feel, now that I’m only following the plan half the time and counting calories the other half. My hope is that I can start planning and preparing meals again next week. 8 pounds…so what, you may say. Well 8 pounds means a lot to me. Above all the usual aspects like losing a size and a half and loving the lower #’s on the scale; it means I’m committed. It means I jumped the “this is too hard” hurdle and got through the toughest part. To me, that’s where success is. Now I’m within 5 pounds of my pre-pregnancy weight and within 11 of my ultimate goal. I’m excited to see what’s next! Stay tuned…. + I do not own a single pair of sweat pants. In fact, I don’t think I have ever worn them. I just feel like I can’t pull them off. I mean, why would I spend money on something to lounge around in when I have plenty mismatched pajama pants. Duh. + Generally I don’t wear workout clothes to work out. I think I own 3 “gym ready” outfits. I’m lame. Good thing I don’t have time to go to the gym. If I do find a few minutes to jump on the treadmill at home, it’s usually in a pair of those famous mismatched pajama pants and a tank top. + I don’t buy potatoes. Ever. One time when we first moved in, I got the idea in my head I was going to make baked sweet potatoes with steak since sweet potatoes are healthier. I honestly think that sweet potato grew more sweet potatoes before I found it in the back of our pantry. + You know how most people get excited and tear open packages when something they order online arrives at their house? Not this girl. Our packages literally sit around until I can get to them and put them up in their own place. + I don’t use my coupon clutch for all my coupons. Being a Thirty One consultant (www.mythirtyone.com/mkeevers) has many perks. One of them is getting a discount on my favorite products. When the coupon clutch was introduced last year, I thought I had to have one ASAP and that it would change my life overnight. Well, it does organize the coupons ….. that are in my purse….or that I remember to put in the coupon clutch. I still have a pile of the huge oversized coupons waiting to be organized. Let’s just put it on my to do list that’s already 200 miles long. Check! + I don’t ever fill my gas tank all of the way up. You would think I would learn from my parents. They have preached to me since I was 16 that “gas lasts longer when you fill the tank.” I mean, I guess I had a better way or something. I know they are right though because the 5 times in my life I have actually filled it up, it seems like it does last longer. Genius. I should do this more often. I probably won’t, but I should. What are some things that you don’t do, that seem out of the ordinary?